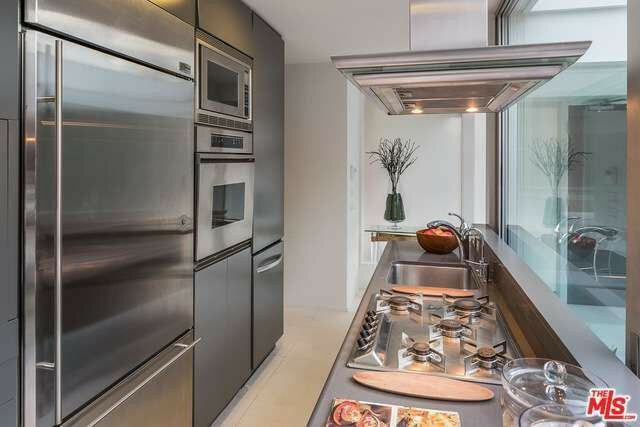 It isn’t a sophisticated penthouse in Seattle and it doesn’t have a red room full of salacious accoutrements, but the home of the actor Jamie Dornan is worthy of the big screen. 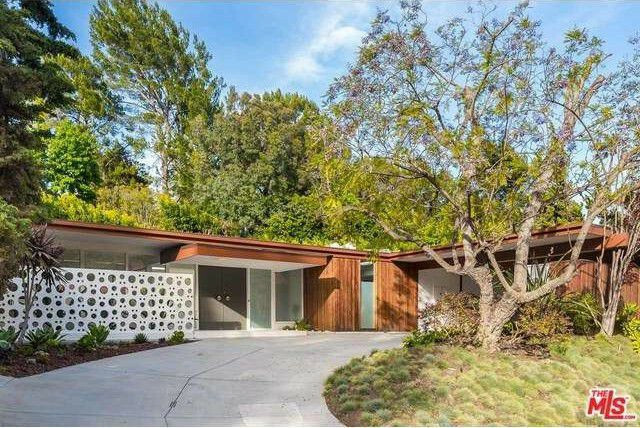 The “Fifty Shades of Grey” star has given word he’d let his chic Mid-Century Modern home in Los Angeles go if the right buyer offered him $3.2 million. 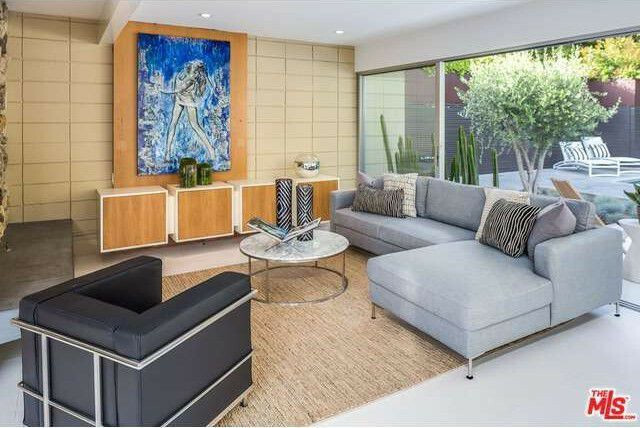 Originally built in 1959 by the architect Edward H. Fickett, then reconceptualized and expanded by designer Val Powelson, the three-bedroom, four-bath home has been carefully updated with modern amenities. 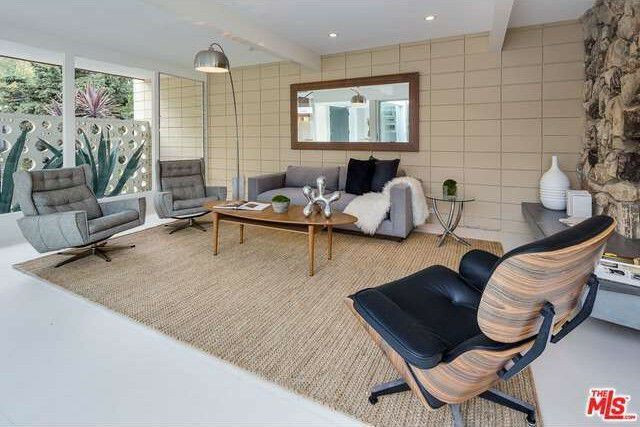 Fleetwood doors and stainless steel appliances flow right into the late 1950s vibe. 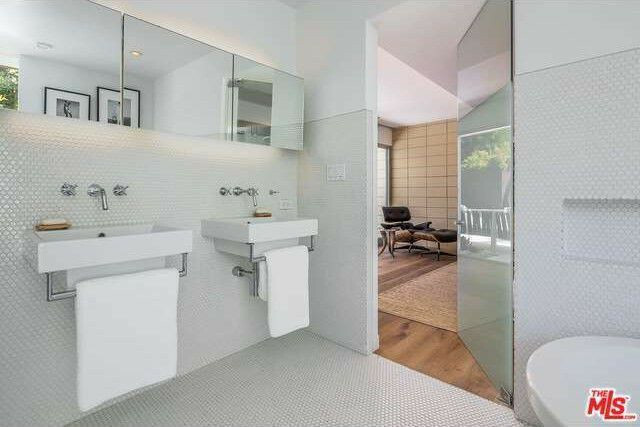 Dornan bought the home in 2016 for $2,843,000 and has kept it in immaculate condition since. The 36-year-old Northern Ireland native is also reported to have a home in the Cotswolds in England, and apparently spends quite a bit of time in Europe. 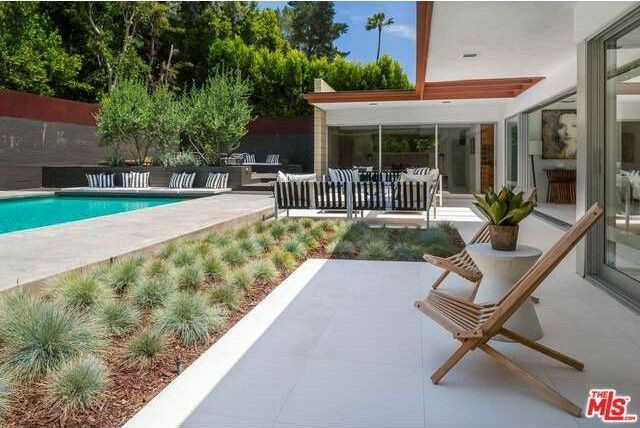 But when Dornan is in L.A., he must partake in SoCal’s climate and architecture. 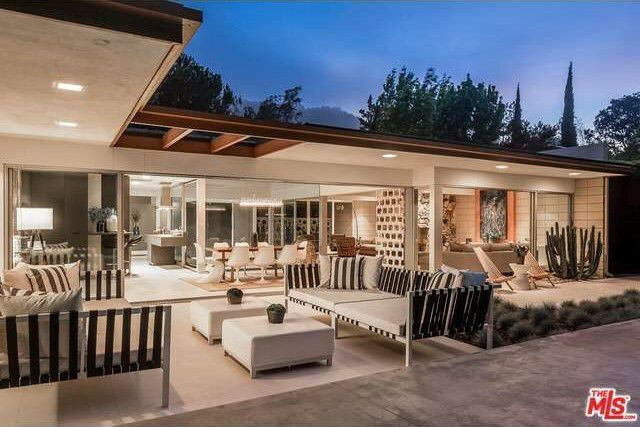 “This home, with its abundance of light and seamless indoor-outdoor flow, is the epitome of California living,” says listing agent Jeff Kohl of The Agency. 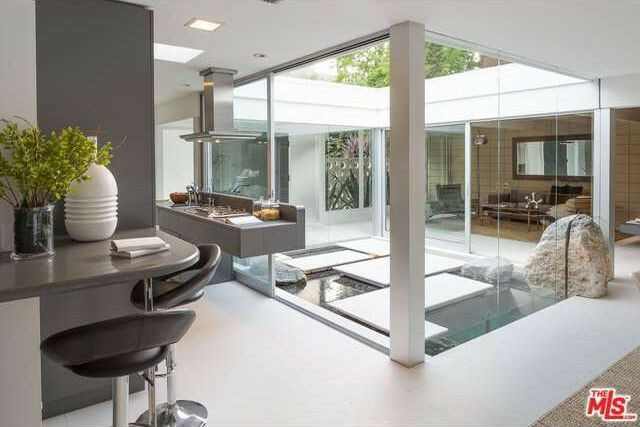 Among the home’s most tantalizing and unique features is the central atrium with an open ceiling, “floating” steps, and glass walls—one of which bisects a boulder right down the middle. The boulder is bisected by the glass wall. 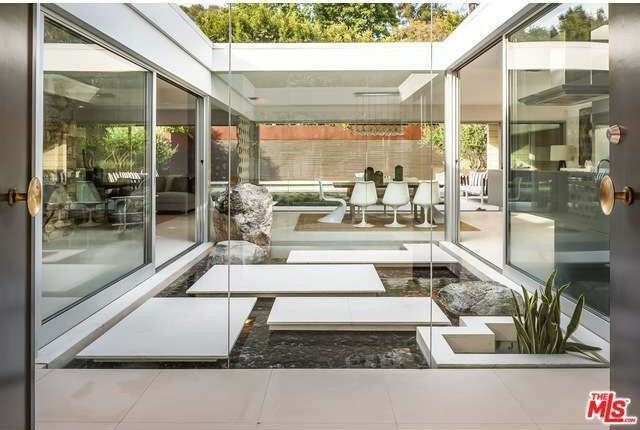 There are also a number of water features in the backyard, in the form of a gleaming pool and a Japanese hot tub, surrounded by decks with built-in lounges and seating areas. A fire pit completes the relaxing outdoor vibe. 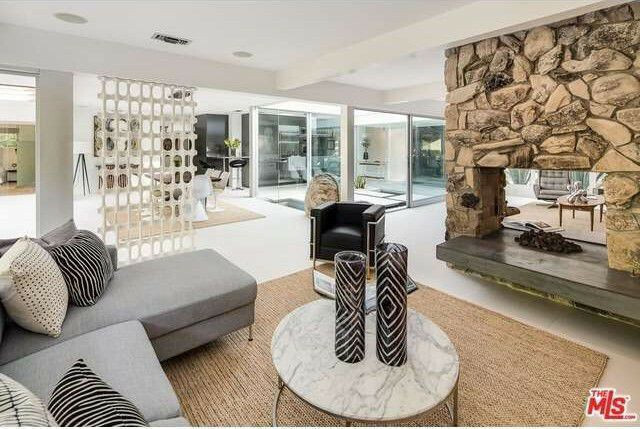 There are vintage design features throughout the pristine home, including geometric patterned screens, a two-sided rock fireplace, and a concrete, circle brick wall in front that lets light in but keeps prying eyes out. 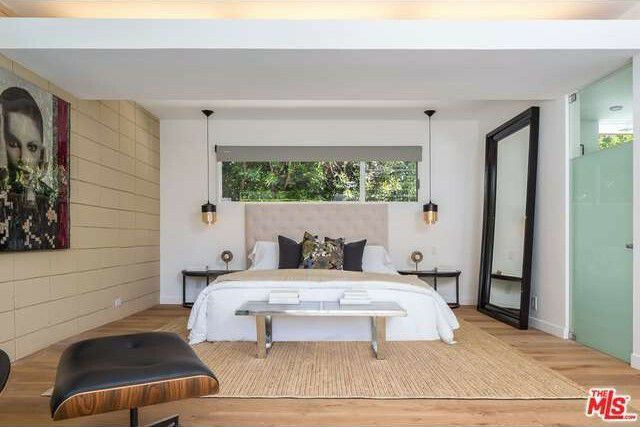 The 2,510-square foot home is located in a rare Nichols Canyon neighborhood just south of Mulholland where the lots and streets are uncommonly flat for the Hollywood Hills. Neighbors can frequently be found walking with their dogs and strollers, according to Kohl. 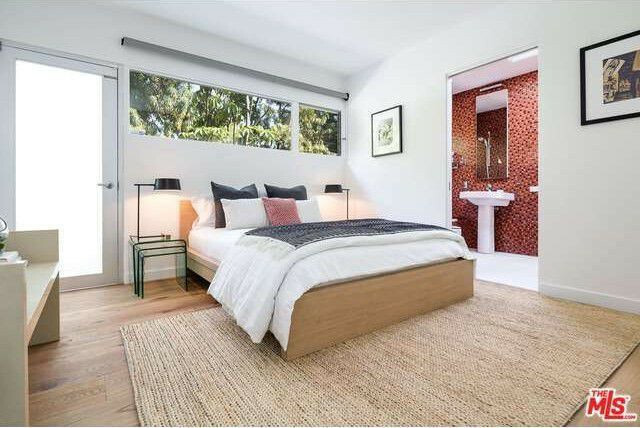 And yet, there’s privacy, because the home is at the end of a cul-de-sac and is not situated on a busy through street. While perhaps best known in the United States for his three-picture stint as the complicated Christian Grey, Dornan is nothing like his onscreen persona. He’s married with two children, and started his career as a model for the likes of Abercrombie & Fitch, Hugo Boss, and Armani. 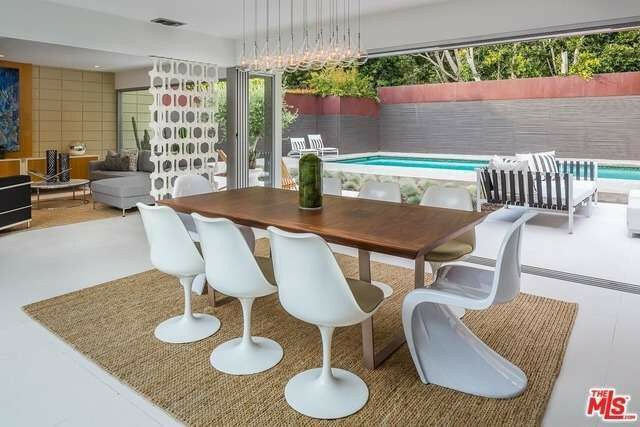 The post Jamie Dornan’s Gorgeous Mid-Century Modern Home in L.A. Is for Sale appeared first on Real Estate News & Insights | realtor.com®.